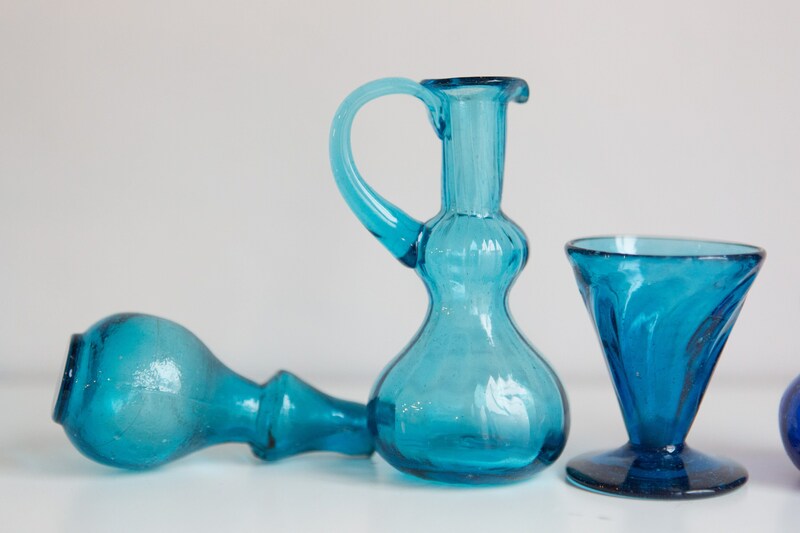 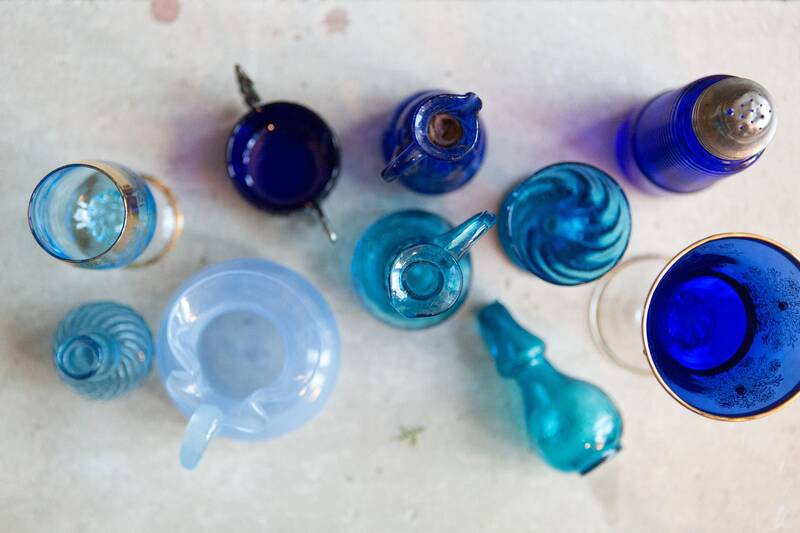 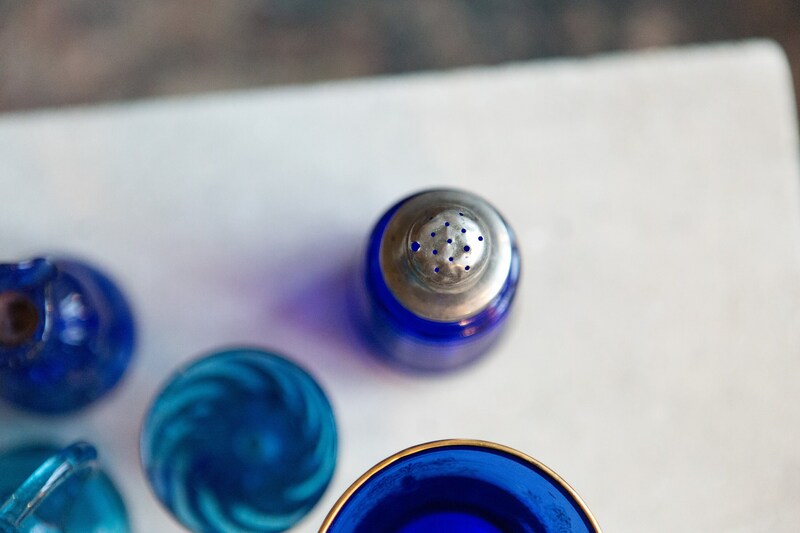 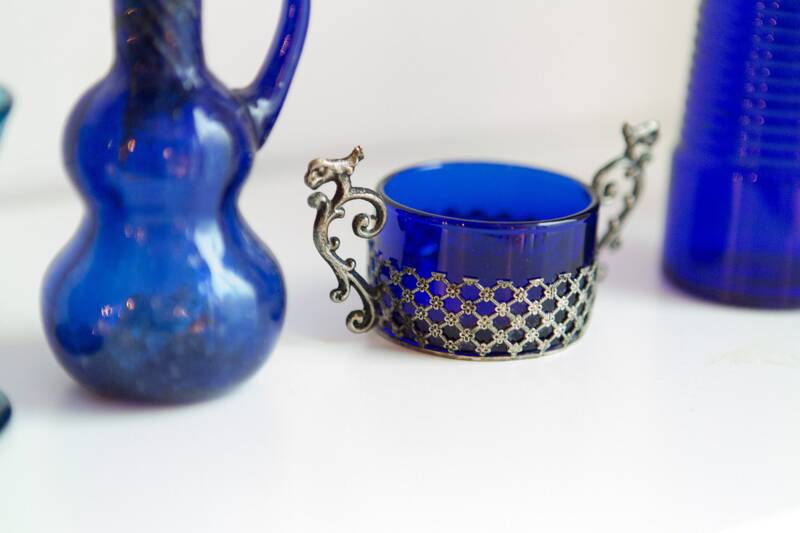 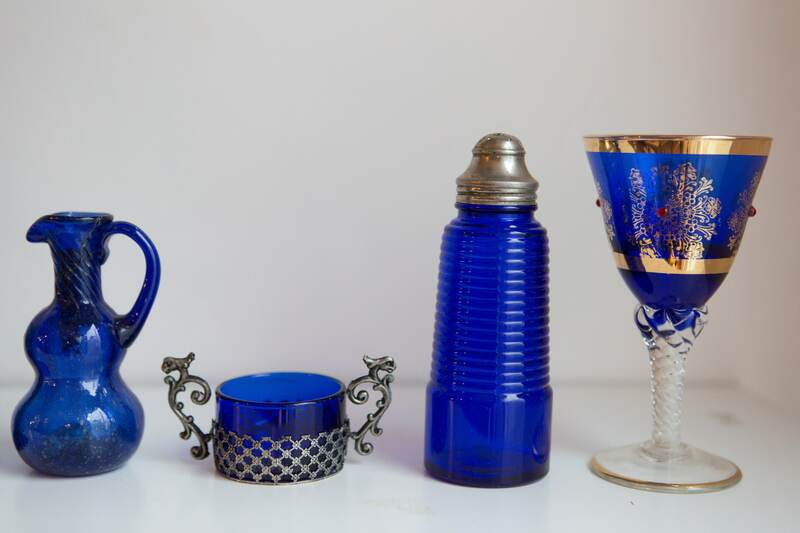 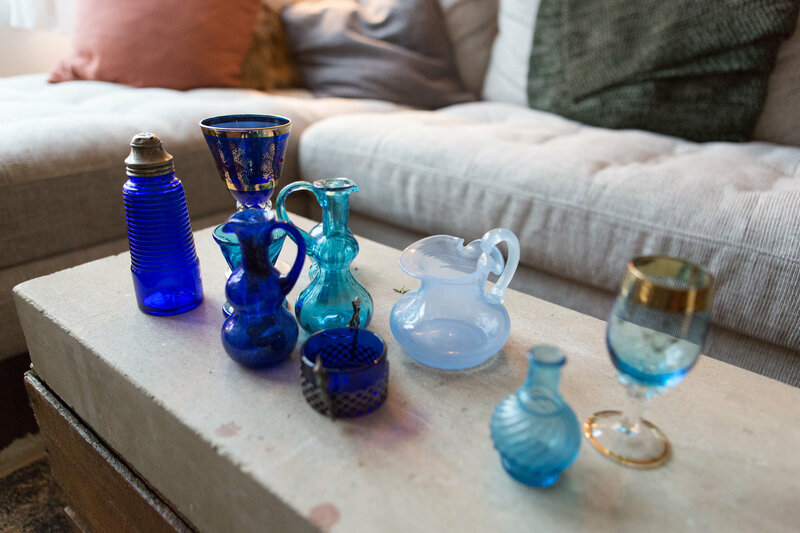 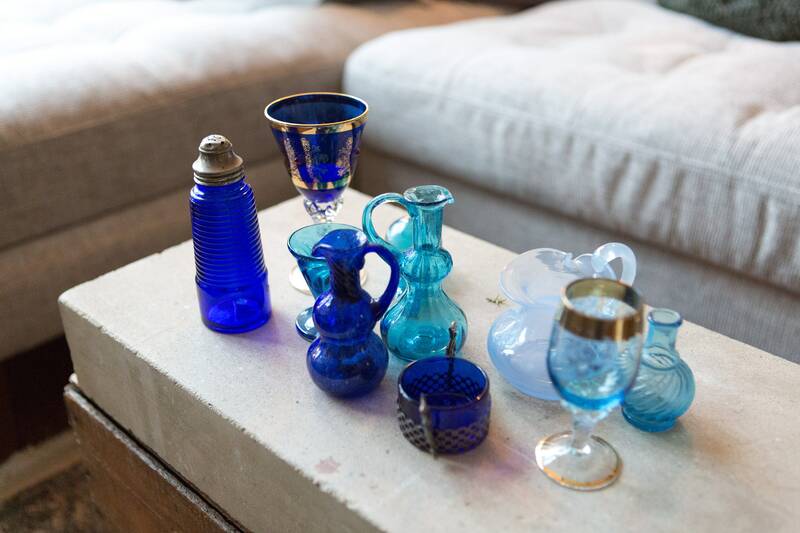 Add to your collection this beautiful set of vintage and antique blue coloured glassware. 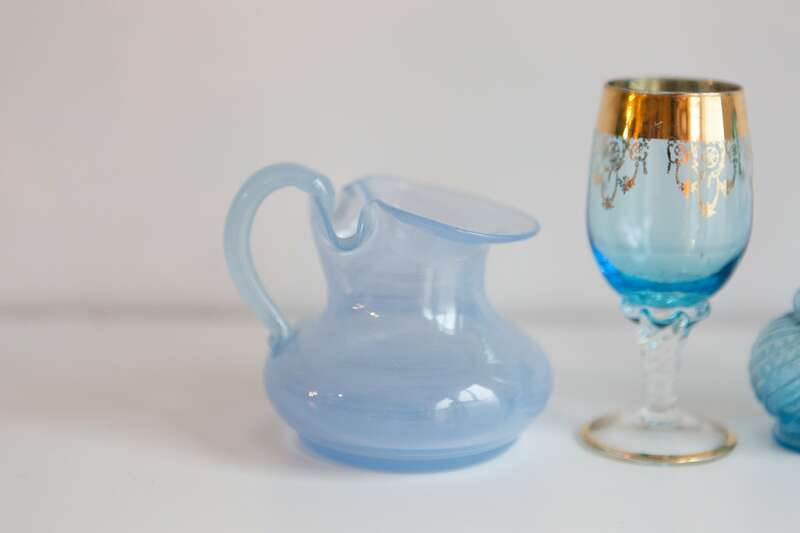 Includes small cocktail glass, mini pitcher, salt shaker, bottle stoppers, etc. 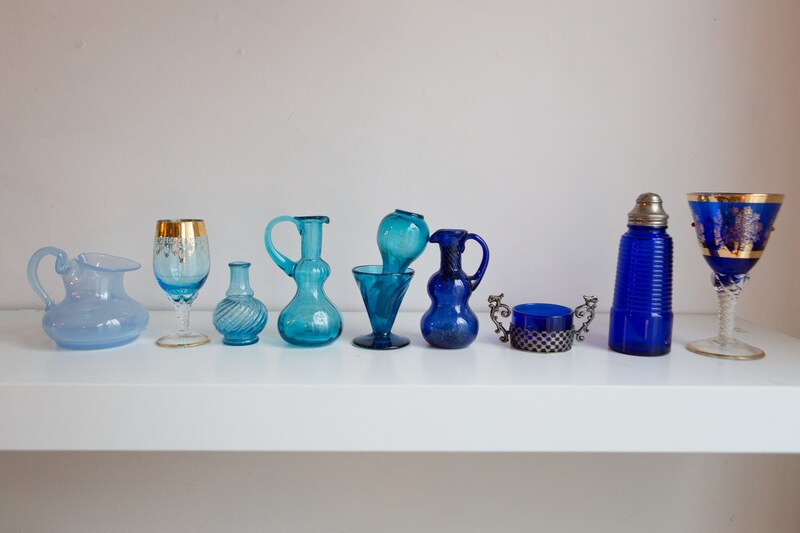 Price is for the set of ten pieces. 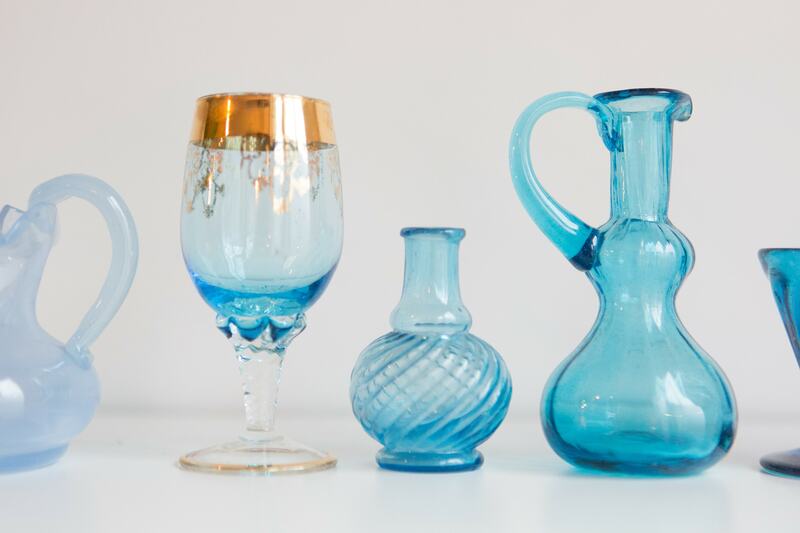 gold cocktail glass: 5.5 inches height.